You are here: Home / Roman Empire / Why Did One of the Greatest Armies Wear Skirts? Why Did One of the Greatest Armies Wear Skirts? 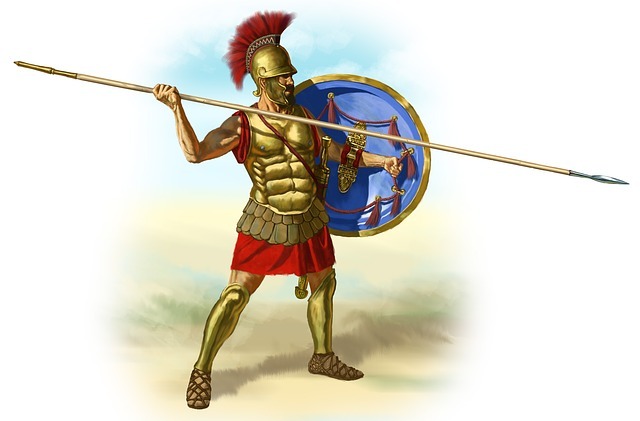 The Romans were one of the greatest military forces in human history. Their armies conquered much of their known world, yet, as my daughter pointed out to me as I was researching them, they wear skirts. Well, not exactly skirts. *smiles* I would never call them a skirt in the same way I’d never call a kilt a skirt. I am far too afraid of the very large and well-armed men wearing them. You can see where my daughter is coming from on the skirt. Not the most accurate image, I know, but I take what Pixabay has. 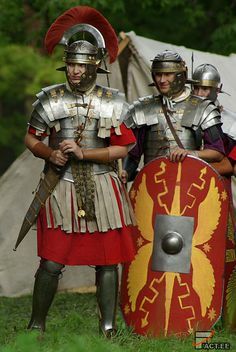 The point is, most of us are familiar with what Roman armor looked like. If not, check out some historically accurate re-enactment sites or even military toy collector sites. We notice the metal chest piece, helmet, and even shin-guards. So, why no metal cuisses (thigh armor)? Why the “skirt”. As with most things in Rome, there were some very good reasons for it. Marching – They were easy to march in. They were light-weight and didn’t impede a soldier’s legs. This was a far-flung empire, and they needed to move troops around quickly and efficiently. Reasonable Protection for the Price – The “skirts” are actually cingulum. They are made of strips of leather, often set with metal discs. They provide mobile, flexible armor that offered reasonable protection and wasn’t terribly expensive to produce. The Romans had a large army. Some estimate over 20,000 infantrymen at the height of the empire. Equipping them with the best money could buy wasn’t always an option, but the Romans still wanted to win wars. Didn’t Overheat – The more armor you put on a soldier, the more you had to contend with them over-heating. Pants Were for Barbarians – Romans wore togas and tunics. Barbarians wore pants. Given our modern stance, it may seem strange, but there was no real point to pants in the warmer Mediterean climate. Pants were also more difficult and more expensive to make, so why bother adopting the “inferior” wear of a “barbaric” culture? I found this interesting, and I may or may not adopt some of this to the Tamryn army. Tunics and trousers are the more popular form of dress in the world, with surcoats for the wealthy. Wizards tend to wear robes. And the Knights of Valor? They’re still in shining armor. Thanks for that, her reaction made me laugh! It certainly is, mine are a wee bit older now. But I remember those days.